Size of this preview: 449 × 599 pixels. Other resolution: 450 × 600 pixels. 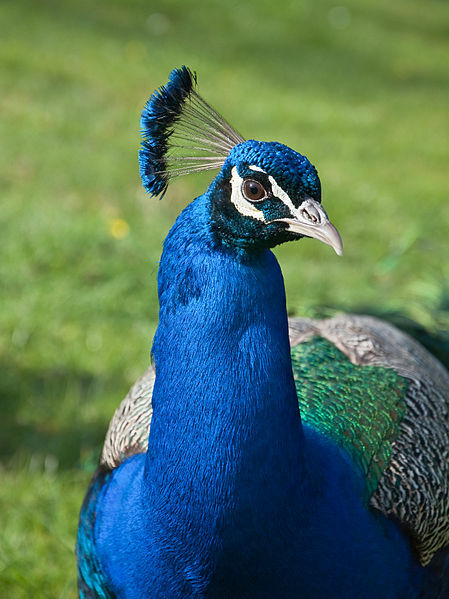 English: Head and upper body of a male Blue Peafowl (Pavo cristatus), park of Bagatelle, Paris, France.